Brisbane Dental Clinic is an approved provider of MySmilePlan! 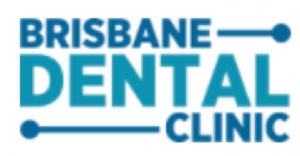 Brisbane Dental Clinic is a new, modern practice with a focus on preventative dentistry for all ages. They seek to provide cost-effective and high quality treatment with a greatly qualified team of dentists and staff. The team at Brisbane Dental Clinic aim for all patients to leave with a happy, beautiful smile and feeling confident and satisfied with their treatment. Call (07) 3172 1312 to book.